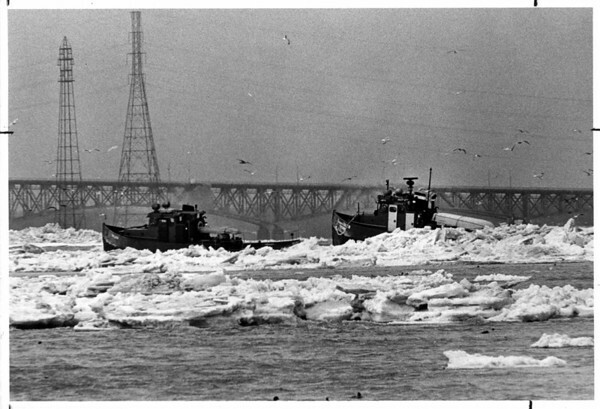 New York Power Authority Ice Breaker and the Ontario Hydro Ice Breaker Niagara Queen clears ice in the Niagara River. The picture was taken from Goat Island with a 600mm lens, with the North Grand Island Bridge in the background. Photo - By Ron Schifferle - 3/5/1985.